ToutApp is a Web app that makes sending repetitive emails a lot easier by letting you use templates for the various types of emails you have to send throughout the day. We took a look at the service back in June and then took its iPhone app for a spin when it was released. We were impressed by what we thought was a fantastic beginning to an indispensable service. ToutApp just released an update to its Web app which adds Gmail integration to the mix, while also lowering the price of entry. The most immediately noticeable change is the new homepage design, which is busier but also has a lot of links to useful info and videos and a more elaborate description of its features. There is also the addition of Tout University, where the Tout team takes on the task of making users more efficient with their use of the service. Tout can have a bit of a learning curve and Tout University intends to make that curve gentler. Subjects range from Tout 101 to Marketing and Sales and there is a free white paper titled “Best Practices: Effective Email for Sales Prospecting” available for download. A major new addition is Gmail integration, which is demonstrated in the video embedded below. Once you connect Tout with your Google account, you’ll be able to install a Google Chrome or Firefox extension that’ll add a bunch of features to the composing interface in your Gmail account. 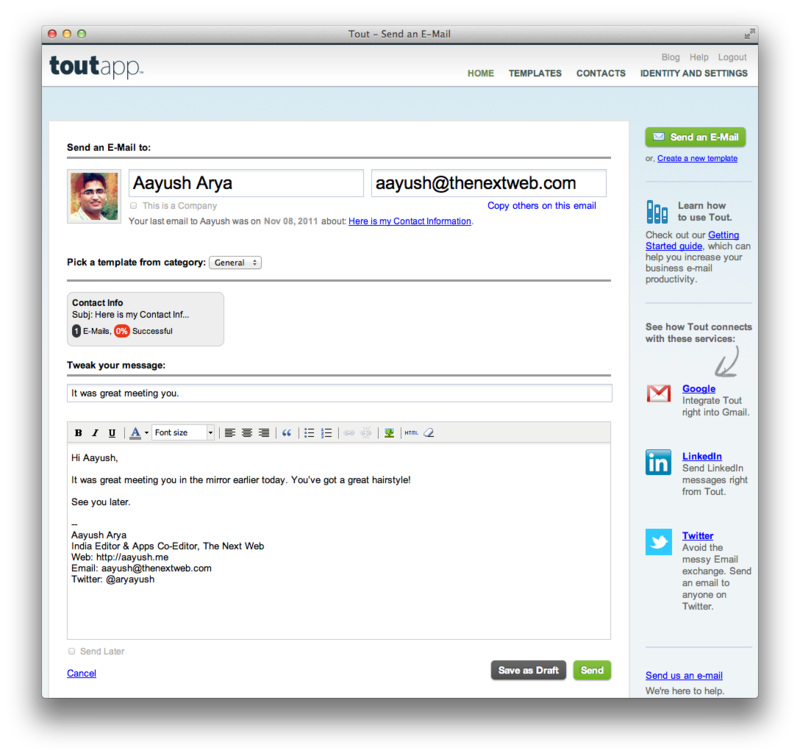 Tout lets you use any of your templates from within Gmail and then “Tout” an email instead of sending it the normal way, which will allow you to keep track of statistics related to your email, which is a standard Tout feature. You can also create templates based on your composed emails in Gmail. The final update brings a reduction in the price of the service. More specifically, the free plan that limited you to only seven emails per day has now been replaced with the $12/month starter pack, which has now been made free. 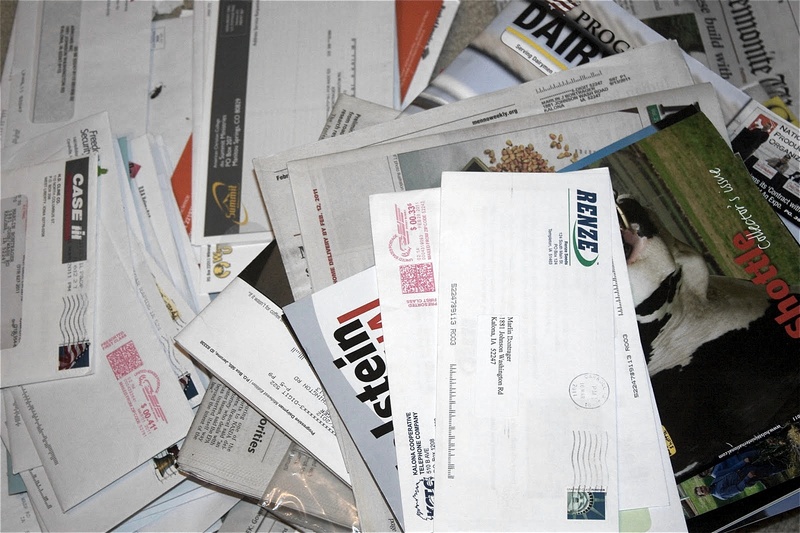 You now get 25 emails per day, 10 email templates and 3 Tout groups. The premium, small team and medium team plans remain at $30, $49 and $99 per month respectively, but there is also a large team plan at $199 per month now for 11 – 25 person teams.